Are you in need one on one support after the traumatic loss of your child? 1. Caveat Emptor: Consumer beware! When a child dies, not just any therapist will understand the complexities and challenges of grieving family members. It is critical to find a professional who specializes in thanatology or death issues. Even the best mental health professional cannot take away the stinging pain of a child’s death. An effective grief-trained therapist will walk with you, help you connect with your feelings, and help you discover ways to cope with the overwhelming sense of loss. If you are not comfortable with the therapist, find another. Sometimes, clergy are helpful in a counseling role. 2. Why is therapy or counseling necessary? It isn’t always necessary but for some it can be helpful. Organizations like the MISS Foundation are here to provide a support network for you and your family. However, we are not a therapeutic support group. Many people seek counseling and therapy to help them balance their ongoing lives with the chaos of emotions after a child has died. Combining counseling with the right person along with support groups, either online or in person, may be very effective in helping you and your family. Therapy may also help address past events that negatively affect daily functioning and further add to the trauma of your child’s death. 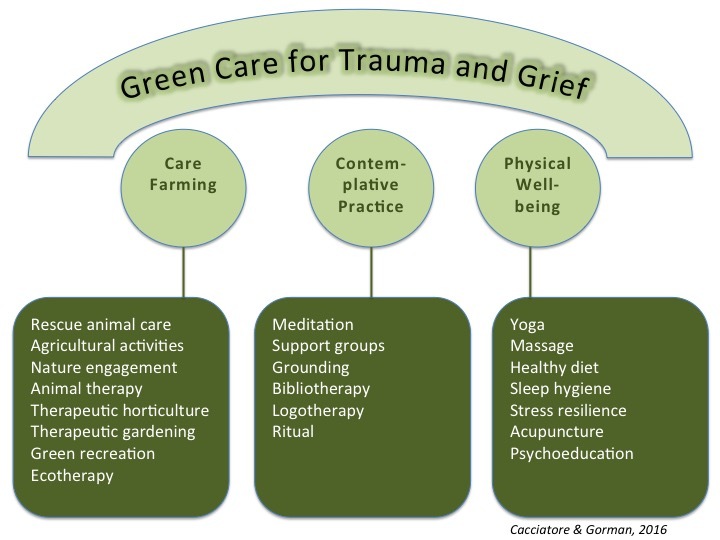 Therapy should be a safe place in which to talk about your issues and generate some useful ideas in dealing with the immense sorrow and trauma you face after your child’s death but it can also help to heal old wounds, likely to resurface during times of crisis. 3. You should know your rights as a patient, ask questions, and be well-informed. Do your own research on the risks and benefits of pharmacological interventions in treating grief. You should have full informed consent before beginning a psychiatric treatment plan. You have every right to expect your therapist to display respect for you and to convey this respect by keeping appointments as scheduled, by contacting you if scheduling changes are necessary, and by giving her/his complete attention to you during therapy sessions. At any point during therapy, you are encouraged to ask questions regarding your therapist’s qualifications, training, experience, specialization areas and limitations, and personal values. You will receive thoughtful and respectful answers. Since your needs are primary to your treatment, you are encouraged to negotiate therapeutic goals, and renegotiate them whenever you wish. You are further encouraged to ask questions regarding the therapy process, specific treatment methods, therapy fees, methods of payment, estimated length of treatment, office policy and practices, and diagnosis. Within the limits of published ethical standards and the law, information you reveal to your therapist will be maintained as confidential and will not be communicated to another person or agency without your written permission. The rare legal limits to confidentiality will be clearly described at your intake session, and you may discuss any aspect of your treatment with others, including consulting with another therapist. Your therapist adheres to the American Psychological Association and your State Board of Psychology Ethical Standards for Psychologists. If you have a doubt or grievance regarding your therapist’s conduct, you may solicit assistance from these organizations. Under no circumstances are “dual relationships” permitted between therapist and patient, especially including business, social, romantic, or sexual contact of any kind. 4. You can expect to meet with an individual who has been through many years of academic and professional training, however not all counselors have specific training in parental grief. You can and should expect your therapist to listen, truly listen and truly see your pain. An effective therapist will ask you some questions about your background and life experiences as well as personal beliefs, mores, and values. Most sessions are once per week for about 50 minutes. Due to the traumatic nature of child death, the visits may be more frequent depending on familial and community support available to you. Therapists styles will vary from person to person. 5. It is never too late to seek therapy. Whether it is a child’s death that occurred 1, 10, or 30 years ago, or some other very traumatic event, it is never too late to seek help. Old wounds open easily and at times, therapy may be the only way to help deal with those wounds. Pain from the past can influence with decisions, patterns of behavior, self-esteem, and many other aspects of your life. Please seek help with a qualified provider. 6. It is very difficult to understand the way children grieve. Often, they are overlooked in the grief journey. While it may seem that they are doing “okay” and they may not be expressing strong emotions, we recommend that children have a safe place to share and discuss their feelings. Take care of their grief now so that they can grow up to be emotionally healthy adults. We are saddened and disappointed by the recent announcement that the DSM-5 task force has finalized the decision to eliminate the bereavement exclusion from the Major Depressive Disorder diagnosis in the upcoming edition of the manual. This move will allow clinicians, including counselors, general physicians, social workers, and psychiatrists, to diagnose a major mental disorder in bereaved parents and other grieving individuals as early as two weeks following the death of a loved one should they meet the DSM-5’s criteria for depression. Importantly, many of you will recognize these criteria which include sadness, feelings of emptiness, crying, sleep and weight changes, guilt and regrets, and loss of interest or energy. Yet, all of these symptoms are quite common in grief, and particularly after the death of a baby or child which evokes enduring and intense reactions in parents. This move has personal implications for the MISS Foundation. The DSM-5 change increases the likelihood that grief will be misdiagnosed as Major Depressive Disorder in the most vulnerable of all populations.1 The possibility exists that bereaved parents and other grievers will be mistakenly treated for a misdiagnosed mental disorder. Recent trends suggest that the most common form of treatment offered for this disorder is psychotropic medication.2-3 While some medications may be effective for some forms of depression,4 there is no sound evidence that they are effective for grief. Research shows that bereaved parents are already medicated earlier than can be justified by current evidence.5-6 We fear the DSM-5 change will exacerbate this trend and cause even more grieving individuals to be prescribed medication for symptoms which are actually a normative response, despite the lack of evidence to support this practice and a lack of information on how such medications may interfere with the grieving process. The MISS Foundation has actively opposed this proposed change in DSM-5 and will continue to do so. You can read Dr. Joanne Cacciatore’s initial blog post which went viral in March of 2012 on this topic here. The first open letter outlining our concerns sent to the American Psychiatric Association in March can be read here and another letter sent in April can be found here. Finally, in October the MISS Foundation issued a formal letter on behalf of the organization and can be viewed here. Finally, many links to research and articles about this issue can be found in this blog entry at the end. We issue a caution to our families: We urge bereaved individuals to be informed about what this change could mean when seeking help from medical and mental health providers using DSM-5, scheduled to be published next year. Should you have concerns about the quality of medical/mental/emotional care you are being provided, please speak with experts who can help guide you. Get help somewhere, indeed. Please be assured that many other parents are experiencing the same immense suffering and that you are not alone. Seek solace through skilled and highly trained providers who truly care for you and are willing to walk with you through your darkest times: providers who understand the death of a child as life’s worst tragedy and who will be truly present with and available to you. Seek solace through like others in support groups, online support, and through your community. Seek solace in spirituality and nature and books that help you to cope as you travel this overwhelming road. Seek solace through self-care and compassion. Seek solace through others who are unconditionally loving whether that be your partner, family, children, animals, or your faith based community. Seek solace through contemplative practice such as prayer, meditation, and quiet time and also through action in service and kindness toward others. We issue an ardent appeal to providers: The bereaved are a vulnerable population. Please, be mindful and conservative in the issuance of diagnoses and medication, and educate yourselves in evidence-based practices as well as culturally influenced interventions. Take personal responsibility to learn what is truly normal, not pathological, after a traumatic death. The DSM-5 gives you much power and influence over the life of another. Please do not take this responsibility to “do no harm” lightly. 5. Cacciatore, J., Lacasse, J. R., Lietz, C., & McPherson, J. (In press). A parent’s TEARS: Primary results from the Traumatic Experiences and Resiliency Study. OMEGA.